Swachh Bharat Abhiyan is a national campaign to make India clean and green under this campaign 4041 statutory towns of India are cleaned. This campaign is a step ahead to the Mahatma Gandhi’s dream of swachh Bharat. Swachh Bharat Abhiyan is a most appreciated scheme launched in India on 145th birth anniversary of Mahatma Gandhi i.e. October 2, 2014, by Prime Minister Narendra Modi, a mission started to clean India that aims to be completed by the 150th birth anniversary of Mahatma Gandhi i.e. on October 2, 2019. Under this campaign a total of 31.83 lakh toilets were constructed between April 2014 and January 2015 and by next 5 years around 12 crore toilets will be constructed across the India. Why this scheme has been started? To assure better health and hygiene. Narendra modi nominated many celebrity figures under this scheme including Cricketer Sachin Tendulkar, Baba Ramdev, Anil Ambani, Actors Salman Khan, Priyanka Chopra and Kamal Hasan, Great comedian Kapil Sharma and the team of famous TV serial Tarak Mehta Ka Oolta Chashma and ask them to nominate nine more people under them to make a chain. 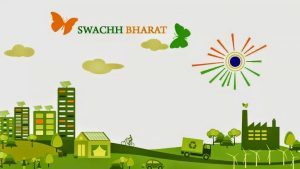 Swachh Bharat Abhiyan is a mission to Clean India drive that has been launched by the Indian Government and their aim is to cover the 4041 statutory towns and maintain cleanliness of streets, and roads and to make it hygiene. Narendra Modi Ji has launched this campaign on October 2, 2014 -the day celebrated as Gandhi Jayanti all over India. On the launch of this mission Prime Minister himself doesn’t feel ashamed in wielding the broom at the road. It is the known to be the biggest cleanliness mission ever in India where millions of government employees, students from schools and colleges took part. At the time of launching the event Narendra Modi has nominated nine famous personalities to be a part of this cleanliness drive including Salman Khan, comedian Kapil Sharma, Priyanka Chopra, Anil Ambani, Kamal Hassan, Baba Ramdev, Sachin Tendulkar, Shashi Tharoor and team of famous Sab TV show Taarak Mehta Ka Ooltah Chashmah and requested them to invite another nine people separately to be a part of this mission and ask them to nominate another nine people as well to continue the chain of calling nine people by each and every person So the message reach to the each and Every Indian. Schools and colleges also participated in this mission by organising many cleanliness programmes. Swachh Bharat Abhiyan aimed to built individual sanitary latrines for household purposes in rural areas, converting dry latrines into low-cost sanitary latrines, and giving facility of hand pumping, safe and secure bathing, constructing drains, disposal of solid wastes, enhancing health and education awareness and so more. The main objectives of this mission is to remove the trend of open defecation by changing insanitary toilets into pour flush toilets. 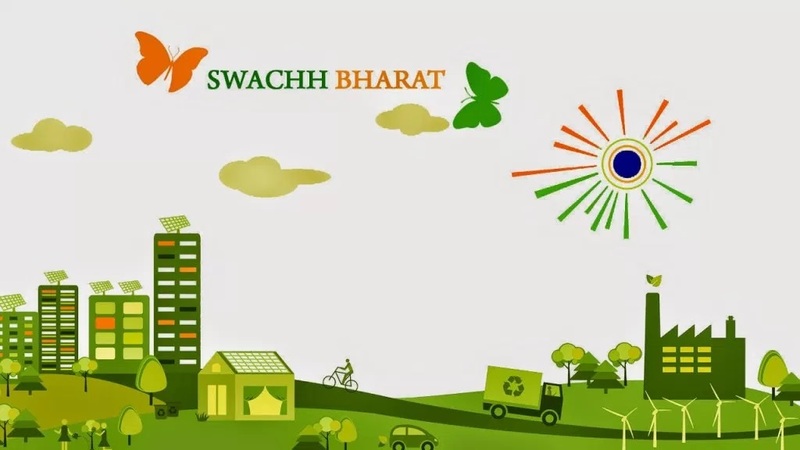 Later many programmes have been started under this scheme including Swachh Bharat Run, Real-time monitoring system, Swachh Bharat apps, Swachh Bharat short film and many more to support the mission in making India Clean and Green. Swachh Bharat Abhiyan is launched by the government of India to make India a clean and hygienic country. Mahatma Gandhi dreamed of clean India and he said that, Sanitation is more important than Independence. He also said cleanliness and sanitation are important parts of healthy living. In past years India became unhygienic and uncleansed country. According to reports, few percentage of total population are using the toilets. To make his dream come true Prime Minister Narendra Modi has launched a mission on his birth anniversary on 2nd October 2014 that has to be completed by his 150th birth anniversary by 2nd October of 2019. Narendra Modi said in his speech that A clean India is the best tribute we can pay to Gandhi ji when we celebrate his 150th birth anniversary in 2019. I urge every one of you to spent at least 100 hours every year towards cleanliness. We can’t let India unclean any longer. The mission has been started to clean all the rural and urban areas of the country under the Ministry of Urban Development and the Ministry of Drinking Water and Sanitation. In response to the clarion call given by the prime minister Narendra Modi for Swachh Bharat the nation is witnessing a wave of enthusiasts wielding the broom and taking up the cleanliness pledge. What is the need of this mission? Swachh Bharat Abhiyan is very important step that should be continuously run until it gets its goal. It has been started to make healthy living of people in India. It is really very important for every Indian to access toilets facility. It is needed to convert the insanitary toilets into flushing toilets all around the Country. It is needed for proper waste management through the scientific processes, reuse and recycling of the solid and liquid waste. It is needed to create global awareness among people living in rural areas. It is needed to make India a clean and green Country. It is needed to bring sustainable sanitation practices. The swachh bharat abbhiyan aims to cover 1.04 crore urban households in order to provide them 2.6 lakhs of public toilets, 2.5 lakhs of community toilets along with the solid wastes management system. Cleanliness programme are also implemented in the urban areas to complete the mission in five years. The cost for this mission is set as Rs 655 crore for community toilets, Rs 4,165 crore for individual household toilets, Rs 7,366 crore for solid waste management, Rs 1,828 crore for public awareness and many more. Today, India has approximately 143 million Smart Phone Users who have access to internet so there is an app launched that is Swacch bharat app so that people can share text images and videos on cleanliness. We can say swachh bharat abhiyan is a nice step to the clean and green India. We can say that swachh bharat abhiyan will really bring godliness all over the country in few years if all Indian’s support the mission in effective manner.